Deedee will walk you through the process of planning a read aloud for deliberate instruction. 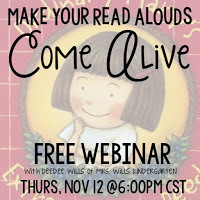 Learn how to engage all readers in an interactive read aloud! A week's worth of reading comprehension, response to literature, and vocabulary instruction will be planned and given to all participants! Suitable for K-2nd. Did you know that Deedee's Guiding Readers assessments are now being offered to all ESGI users? Click HERE to get your 2 month FREE trial! How do you teach emergent readers to become deep thinkers? How do you engage students in focused discussions? How do you scaffold students and support their attempts? How do you help students transfer their learning to new situations? WHO: TK Teachers, Kindergarten Teachers, 1st grade teachers, Special Education Teachers, Academic Coaches, Directors, and Principals Register Now! Click Here to Register for the Webinar Now! Deedee created Kindergarten CCSS & NEW GUIDED READING Assessments in ESGI to provide an easy and efficient way to track and report student progress, create small groups and develop effective intervention strategies using real-time item analyses. She taught four years in second grade before she was asked to help launch their Balance Literacy adoption in her district. She served as a Literacy Coach for two years but missed having her own class. So when a kindergarten position opened up, Deedee begged and pleaded... and Mrs. Wills Kindergarten was created. Today, Deedee supports teachers through teacher test practices. 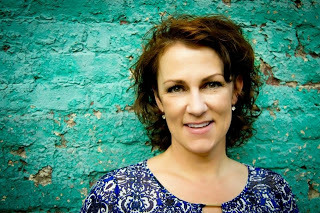 She is a national speaker and staff developer.